Has a car ever winked at you? 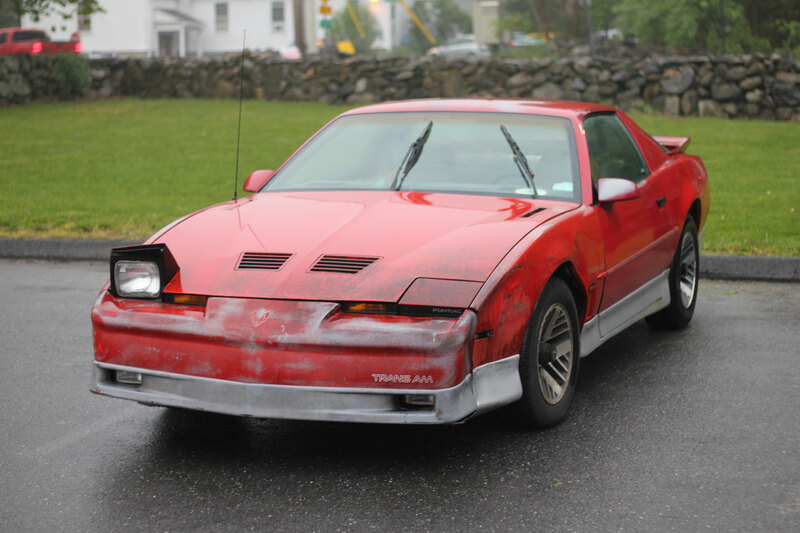 Jake Kara sent me this photo of a 1980s Pontiac Firebird Trans Am that looks like it’s either trying to get the viewer’s attention, or is having a seizure. This car has what collectors call “patina,” which makes it look incredibly out of place parked in the center of Monroe, Connecticut, a town with a lot of history and a lot of money. The third-generation Firebird, produced from 1981 to 1990, is one of those cars that seemingly obligates its driver to grow a mullet. They always seem to look like this car, and always seem to be heading to the local 7-11. That wedged shape also made third-gen Firebirds popular fodder for “Fauxrrari” body kits, which transformed them into Ferrari Testarossa knock-offs. This Firebird did have some good qualities, though. It was the basis for KITT in Knight Rider, and it was one of the few true American muscle cars of the 1980s. The Firebird, and its Chevrolet Camaro twin, were among the few 1960s performance nameplates to survive the purge that took place in the early ‘70s, at the hands of rising insurance costs, EPA regulations, and OPEC. 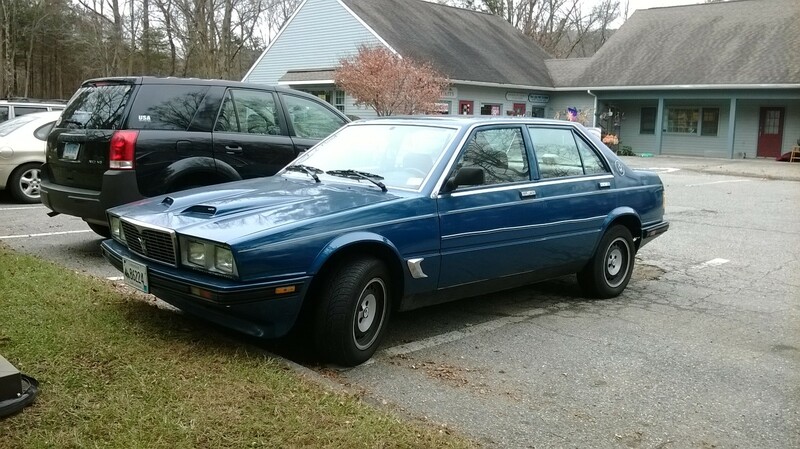 This car’s “High Tech” aluminum wheels identify it as a 1985 (or later) model, which means it has a 305 cubic inch fuel-injected V8 under the hood. When new, that engine was good for 210 horsepower. That doesn’t seem like much, but keep in mind that a base 1984 Corvette only had 205 hp. So this car’s owner deserves a little credit for going for the Trans Am and not a regular Firebird, although how they ended up with this example is a question for the ages. In fact, there’s plenty of mystery surrounding this seemingly unremarkable car. Did that ding in the front bumper come from a dramatic police chase? Why did the driver back into that space in such a photogenic way? Why is the car winking at us?